Ciutat Vella is the historical, cultural and political centre of the city of Valencia. 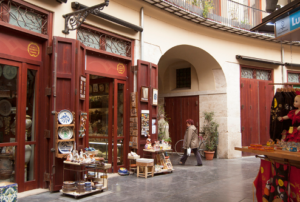 Most of the streets in Ciutat Vella have maintained their original layout, so walking around Ciutat Vella, the tourist can still breathe the traditional atmosphere and discover history around every corner. 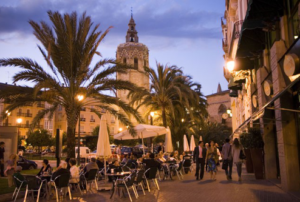 Plaza de la Virgen, the heart of the Old City concentrates monuments, including the Valencia Cathedral and the Gothic door of the Apostles (where the Tribunal de las Aguas meet), the Gothic building of the Palace of the Generalitat and the Basilica de la Virgen de los Desamparados. 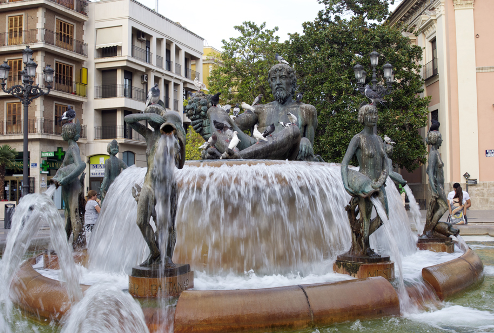 This square, with its fountain representing the river Turia, is an iconic landmark of the city. Walking through the Ciutat Vella, the visitor will discover a unique atmosphere and great monumental attractions: el Plaza del Ayuntamiento, the Mercado Central, la Lonja de la Seda, la Plaza Redonda, Palace of the Marquess of Dos Aguas, Plaza del Patriarca, the Cathedral of Valencia, Plaza de la Almoina and the medieval gateway known as Torres de Serranos. Remains from Roman times, sections of the Islamic wall and precious architectural buildings will delight visitor’s walk through the history of Valencia.